Do whatever it is I do here while searching and applying for jobs. Apart from the hours of job searching, which hasn’t really been too bad, I’ve been savoring my last month abroad. 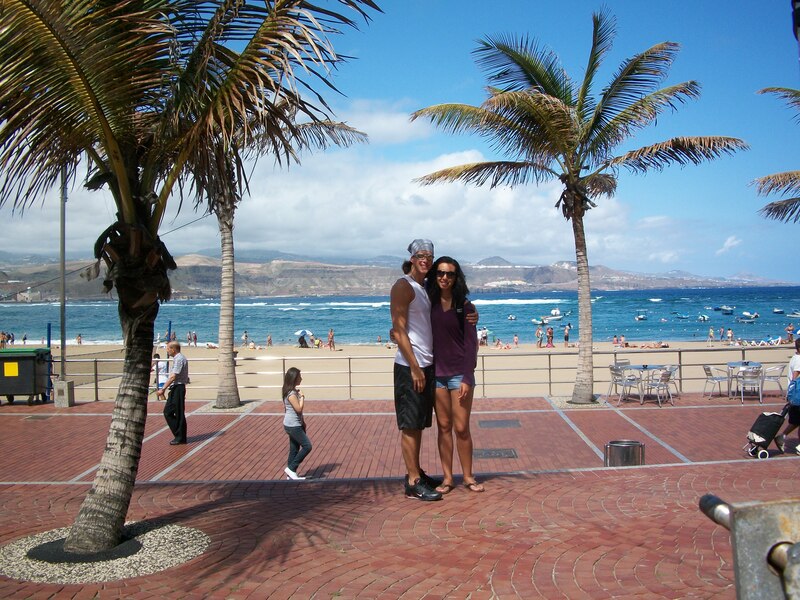 I took my two last trips to Paris and Gran Canaria, Canary Islands while Beau was here. It was my second time visiting Paris (I’ve been before with my mom), but the city is so big and the Eiffel Tower is so awesome that it doesn’t matter how many times anyone goes. We could have gone to several of the one hundred museums, but instead we took the advice of our friends and Rick Steve and walked the city…literally almost the entire thing! Haha. 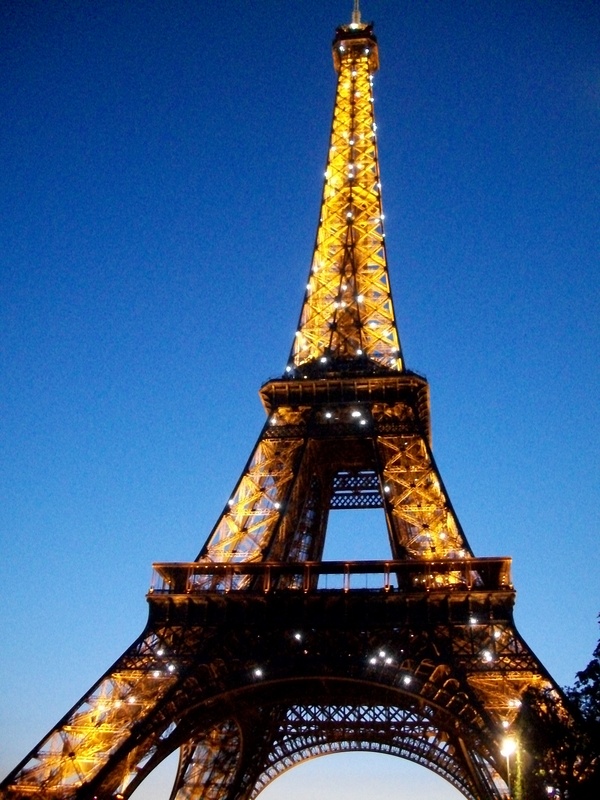 The Eiffel Tower all lit up! Our favorite thing during our short weekend in Paris was sitting on the lawn in front of the Eiffel Tower, drinking wine (if you forget your own bottle or run out, guys are there to sell you more! ), hanging out and watching the tower’s light show. We did climb (by stairs, there are 669 of them!) to the second level the first night we were there to check out the view of the city and Seine River at night. We also managed to visit the Notre Damme, Arc of Triumph, the palace courtyard and the Louvre gardens during our two-day walk-a-thon. 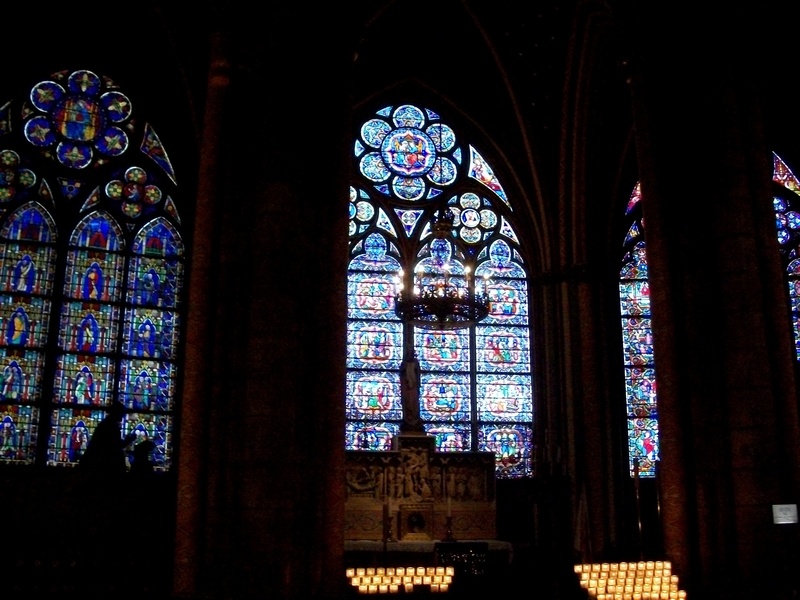 Beautiful stained-glass windows of the Notre Damme. The entrance to the Louvre, home of the Mona Lisa. 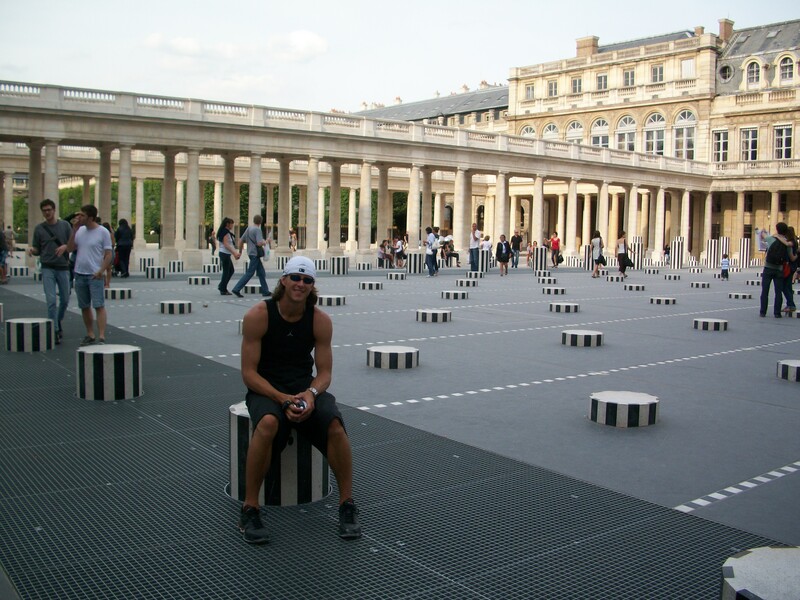 Courtyard of columns in front of the Royal Palace and gardens.